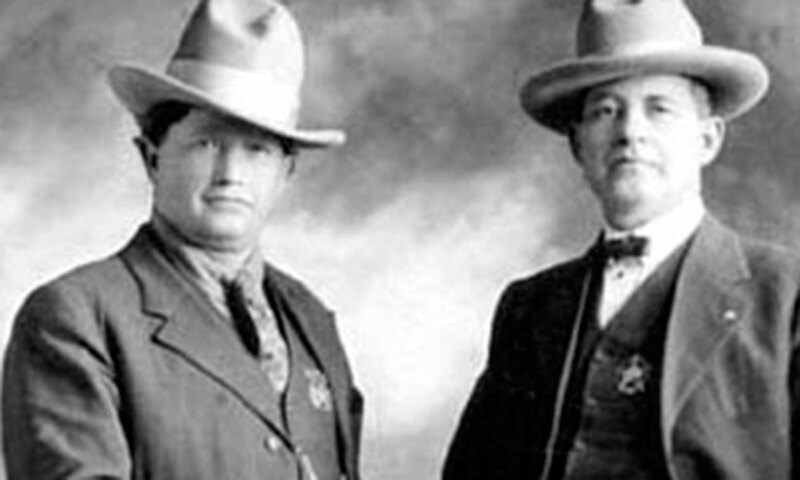 Bud Ballew (left in photo) was an Oklahoma lawman and gunfighter with numerous notches in his gun. 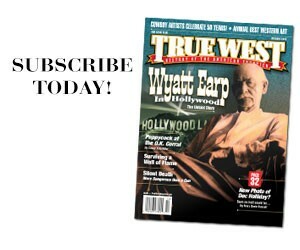 He was known as a tough customer—something former Deputy US Marshal Dow Braziel forgot. The two had long standing issues. On January 31, 1919 they met up at the California Café in Ardmore, OK.
Braziel got off two shots before Ballew returned fire, hitting his target five times. Braziel died on the floor. Ballew’s action was called self-defense and he wasn’t charged. Did most saloons have spittoons in them? 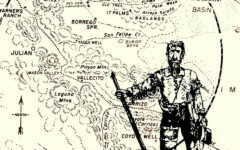 Tom “Peg Leg” Smith "Peg Leg" was one of the Old West's grittiest mountain men.